Brownsville, Texas: At the end of a long hallway in a former shopping mall, a number of temporary wall partitions had been placed so as to create a private room. 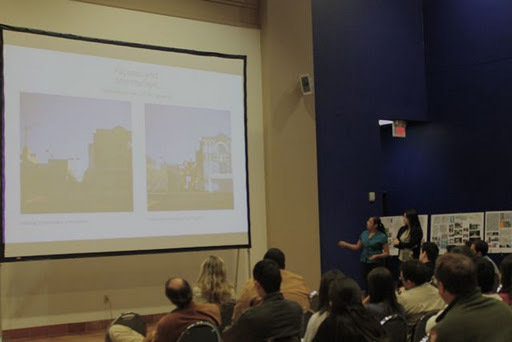 Forty people sat in this space, leaning forward in their seats, engaged and seemingly enchanted, as, one after another, teams of students offered their visions of what downtown Brownsville could be like. These were University of Texas at Brownsville/Texas Southmost College architecture students under the care of Dr. Murad Abusalim. The mockup vistas were mixed–some simple, some complicated, all of them interesting. The students, too, were clearly caught up in the energy of offering a considered idea, a work of art, to others. They were nervous, they were proud, they were so entirely alive. Mission, Texas: At the end of the long chapel aisle sat an open casket. In the casket lay the body of an 18 year old. Above the casket, on an oversized screen, a slide show played. Over and over again, a too cute baby mugged for the camera, two young men stood, self-consciously, arm in arm, smiling; the same baby, in diapers, held a hoe at the end of a long row of tomato plants. A collage of memorabilia had been set out beside the casket—a Georgia Bulldogs’ cap, some photos—and a hand-lettered sign that said, “”Para entrar al cielo NO se necesitan papeles” (You don’t need papers to get into heaven). 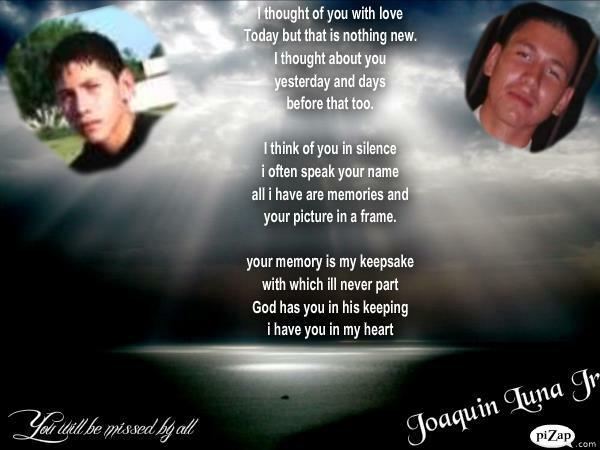 A few days before, on the day after Thanksgiving, Joaquin Luna Lerma, a high school senior from Mission, Texas, had dressed himself in a shirt and a tie, had locked the bathroom door, and then had shot himself to death. Joaquin, an aspiring civil engineer and architect, had filled his home with mockup blueprints of his visions of homes and buildings and landscapes. Joaquin, a high school senior, however, could not figure out a viable map for his own life. He was Dreamer–an undocumented young man who had been brought to the United States as an infant. The design that he had configured for his own life necessarily included college, and then a career, a life to be lived here, in the United States, in the only country he had ever known. With Congress’s failure, over and again, to pass a comprehensive, humane immigration reform, with Congress’s failure, over and again, to pass the DREAM Act, Joaquin’s future options were few. These plans would not have included college or a career as a city planner, an architect, or a civil engineer. No one can know for certain what drove this young man to such an act of violence. That he felt trapped and that he had no viable future is clear, both from the letters he left behind to his family and friends and from the testimony that his older brother offered the public. While we cannot imagine the degree of the agony that would have brought him to self-destruction, it is not at all hard to imagine that, if in fact he had had legal status in this country, that if in fact he could have moved forward with his dreams and plans, that his life might have been saved from despair. That, however, was not the case, and now, on this Wednesday afternoon, family and friends had gathered at the funeral home to offer their respects. After a bit, the preacher arrived, and people began filing into the pews. There was an air of disbelief, of awkwardness, of tragedy, and of anger. The preacher did his best; he chose a verse from Revelations about a new heaven and a new earth, and then offered a hymn that he claimed was Joaquin’s favorite. Joaquin, however, remained where he was. There was a collective smile back at her. We watched as she moved away from the screen, gathered up her plans, and joined her family, so clearly, fully alive.